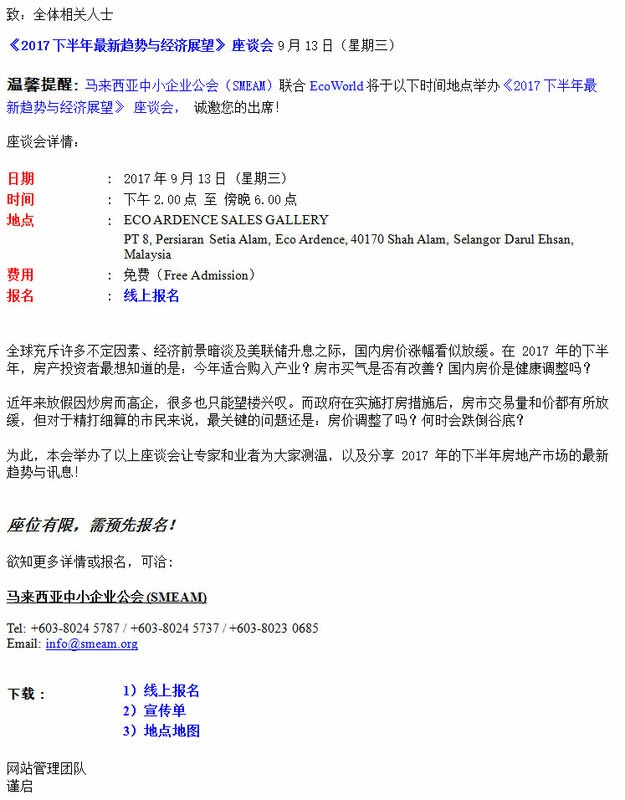 We are please to inform that SME Association of Malaysia (SMEAM) in collaboration with ECO World would like to invite you participates in an exclusive seminar on New Trends and Outlooks for Second Half 2017 on 13th September, 2017 (Wednesday). Want to get ahead on the trends for the second half of 2017's property market? Join us at this seminar where Mr. Chris Tan, Key figure within the property industry, shares his outlook on the property industry for the second half of the year, along with the new trend of industrial property investments!